With Awareness and Being Their Loud Voices Together, We ARE Making a Difference to Ending this Suffering Nightmare. Dogs are Angels that are here to make us better people. They are Selfless, Kind, Loving and Forgiving. The Cruelty and Despair in their eyes breaks my Heart into a million pieces. Strange Canine is ready to do our part and more. With Every Purchase Of Strange Canine Merchandise, Proceeds go To Make a Difference. You Help Three Amazing Organizations, Soi Dog, The Animal Hope and Wellness Foundation and The Humane Society International. These Organizations Raise Awareness and Bring this Horror from Darkness into Light. Everything is Connected. How We Treat Ourselves, One Another, Animals, the Earth. I cannot imagine the horrific suffering these innocent Angels are going through and these three organizations and many others are on the front lines, Every Day. Be Conscious. Be Aware. Don't Turn Away. Get Involved. Sign the Petition. 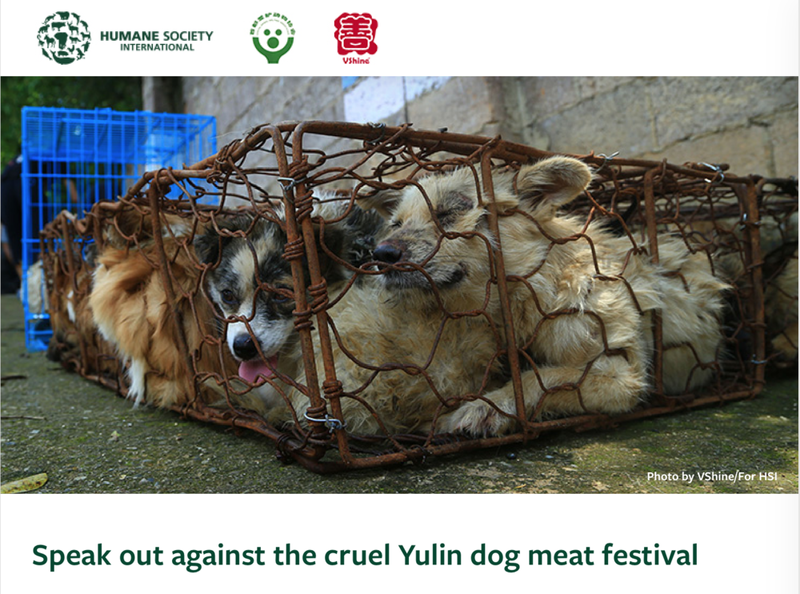 Let’s End the Horror of Yulin Together.